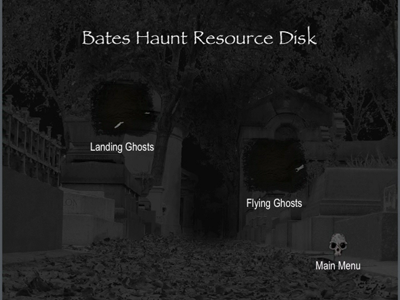 There are now two options to get parts of the Bates Haunt for your haunt. The older Resource DVD sold below and our sellfy store digital downloads.. The digital downloads allow you to get just what you want all in full HD, and has more tracks available. Since the DVD is not going to be updated anymore (I don't think), if you purchase the DVD I will also let you have any of the tracks from the digital downloads as well. Just let me know. This short video has some samples of the DVD which includes unlimited email tech support and mp3s of the first 4 pumpkin songs. The DVD is widescreen but things are a bit smashed in the you tube video...sorry. 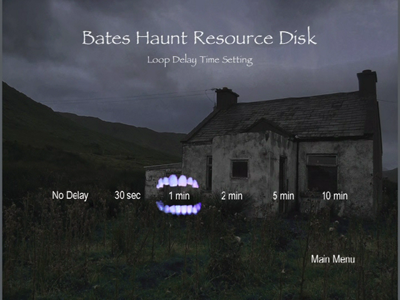 Each menu has several loops to try to fit every situation as well as configurable delays between repeats. Some loops have multiple audio versions too. 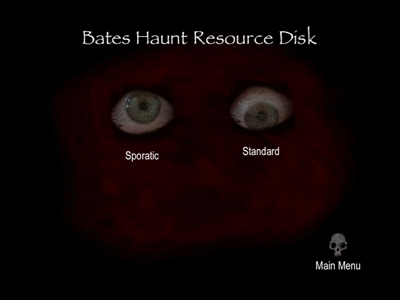 At the bottom of this page are images of the different menus of the dvd so you can see what is there. Also, some have asked if they can just buy the eyeball tracks. I don't want to manage multiple DVDs, and as a thank you for your contributions I've decided to release the two DVD Eyeball tracks in full quality here. You are free to use them for non-profit or personal use. Please send me an email and let me know how you are using them and how things went. Thanks! 3 versions of all the pumpkin songs one of them with some limited stuff that happens during the songs on the house itself. 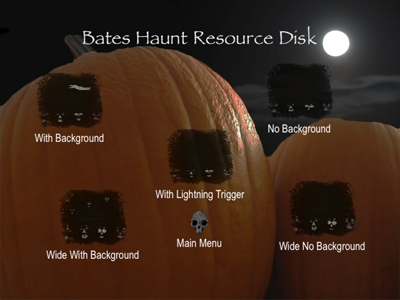 The ability to customize which pumpkin songs play in a loop and how long the pause between loops is. 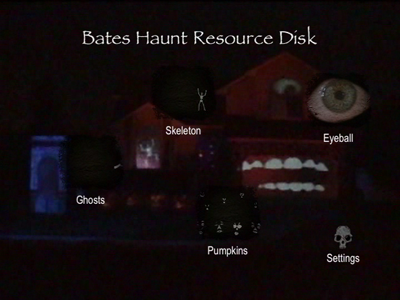 The DVD comes with a license to use, modify, and copy the video and audio for personal use. It cannot be resold or used in commercial displays without my written consent. 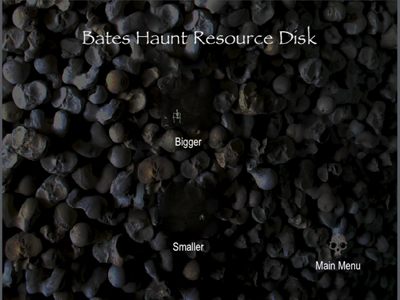 The video and audio are copyright 2008 by Dave Bates. All rights reserved. Thanks! If you are interested let me know by emailing me or click on the buy it now buttons on this page. Also many of your questions may be answered on my faq page here. Please review it before making a purchase so you know what you are getting. I got the DVD, thanks ! I tested it out last night and it looked awesome on the foam pumpkins. You are the God of Halloween ! I received the DVD yesterday and everything is working fine. �I tried it out on my home computer first and then I brought it into work today and also tried it out on a video projector and it works perfectly on both. I was able to locate the Gemmy 3' inflatable pumpkins on Ebay (I think that's what you used) and they are being shipped to me now... Thanks for the help - the DVD is great! !